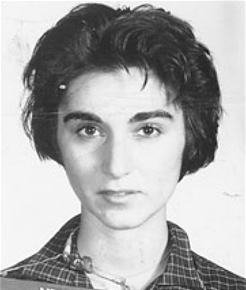 New Yorker Kitty Genovese’s murder became one of the best-known — and least understood — cases of its kind. It gave birth to one of the signature social characters of the decade: the innocent-yet-guilty witness to violent crime. Strangely enough, a well-known science fiction writer was among those who moved the story into the realm of exaggeration. Harlan Ellison wrote screenplays for a number of popular 1960s television series, including the original Star Trek. He penned a newspaper article savaging those who failed to come to Genovese’s aid. Rolling Stone magazine published Ellison’s story, which reported that 38 people heard the crime and did nothing, in 1971. By mid-decade, social psychologists were using the Genovese case in their introductory textbooks, claiming that despite what you’d think, larger numbers of bystanders actually decrease the likelihood that someone will step forward and help a victim. But in fact, the research was flawed, because it relied on media accounts of the event which were ginned-up for their sensationalist value. Further review found that police interviewed only less than a half-dozen witnesses, and that nothing close to the number of 37 people — or 38 or as many as 41, depending on the urban legend you happened to read — watched or listened to the murder take place. Kevin Cook, author of Kitty Genovese: The Murder, the Bystanders, the Crime That Changed America, theorizes that “some harried civil servant gave that number to the police commissioner,” who passed it onto the Times. Reporter A.B. Rosenthal’s subsequent article was a gripping read for a country recently numbed by the death of President John F. Kennedy. By the time someone updated Kitty Genovese’s murder with fact, several decades’ worth of social psych students had been convinced of the power of the so-called “bystander effect.” The legend still lives on in popular culture, and taints the people of the Kew Gardens neighborhood to this day.